phonophan is the Web site of noted recorded sound historian and much-published author Tim Fabrizio, dedicated to preserving, understanding and purveying antique phonographs, talking machines, gramophones, Victrolas, graphophones, and related items such as Edison, Victor, Columbia, Zonophone, Berliner, Brunswick, RCA, Talkophone, collectible records, cylinders and 78s, needle tins, Edison memorabilia, "His Master's Voice" Nipper the dog, and morning glory horns. Historian Tim Fabrizio appeared in a segment of the PBS TV show "History Detectives" devoted to the Psycho-Phone, an antique talking machine with an intriguing secret! Now that the secret has been revealed, if you'd like to read more about the fascinating Psycho-Phone, just CLICK HERE! But you might ask, "Is this relevant?" We live in a world of immediacy. Five minutes is the same as eternity. And tonight we're gonna party like it's eighteen-ninety-nine! Tim has embarked upon semi-retirement, but he's "keeping his hand in." You will still be able to visit phonophan for beautifully restored antique phonographs and information, so be sure to check phonophan.com often to see what's new. 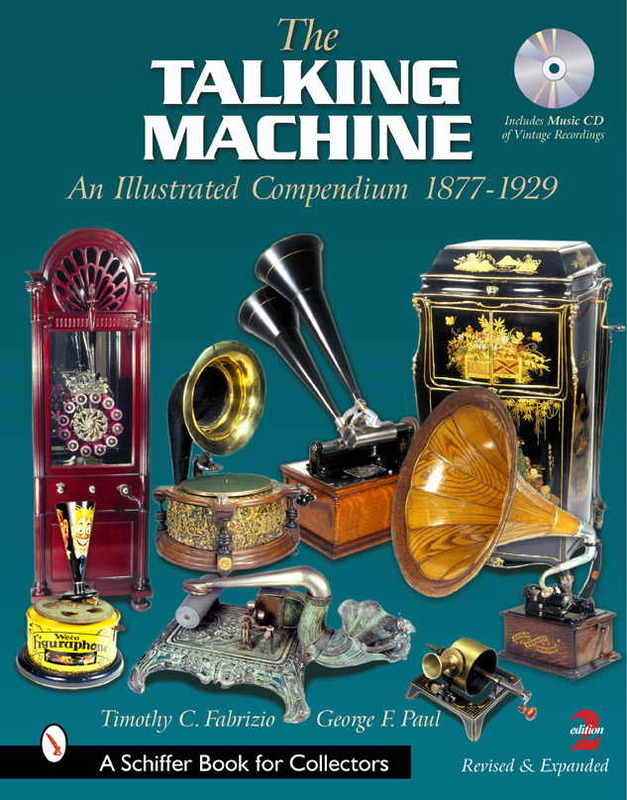 January, 2018: I purchased my beloved Victor III Talking Machine from you a few years ago and I must tell you that it continues to bring me as much joy as it did the first day I unpacked and played it. Many thanks, Natalie, AU. It was immediately obvious that you were meticulous in reconditioning this machine! The cabinet is lovely, the spring, gears & all mechanism in the box are very clean, grease free and looks great. The horn and its mount really stand out. Everything is exactly as you had described on your web page. A few cranks and we were blown away by its sound. A few records later and my wife and I were dancing around the living room and imagining those that were doing the same when they first bought this phonograph back in 1906. 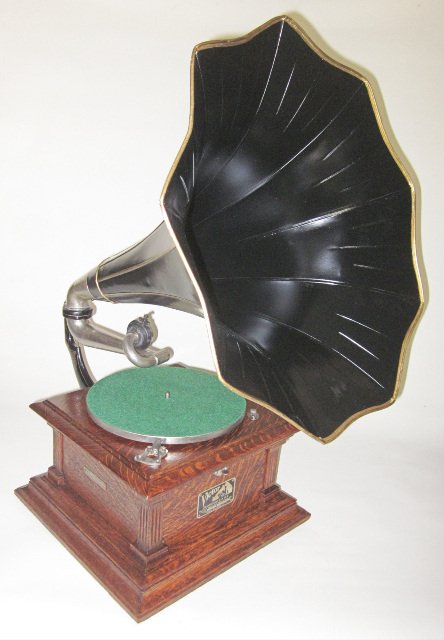 "WE LOVE THE VICTROLA!!! It showed up on one of the coldest November days in Minnesota. My 2 girls danced around while I played the 78s that came with it. Now every time we get it going my 1 year old runs up to me with her arms up to dance with papa. Thank you so much for having such great products and customer service." -- Daniel M.
Read other people's opinions of phonophan. WHO the heck is Tim Fabrizio?Click image at the right to find out! See a capsule history of recorded sound. 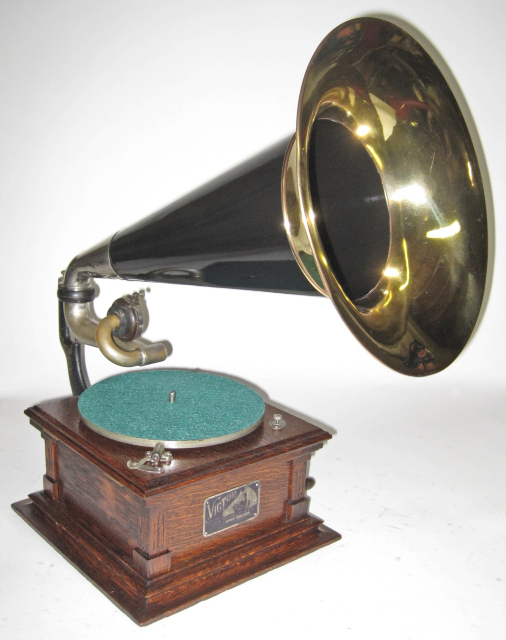 From Edison to Victor, Phonographs to Victrolas, Gramophones to Graphophones. PERPLEXED by TERMINOLOGY? 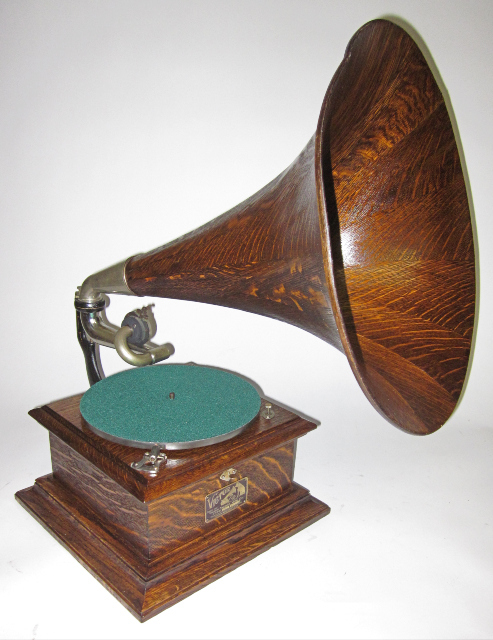 Click here and read a DICTIONARY of phonograph-related words and definitions.